Sean Michael Karl’s story is one of hope, courage, faith and new life. Sean was born June 14, 1994 to Laurie and Mike Karl in Toledo, Ohio. He grew up with two younger brothers, Justin and Steven, in Brentwood, Tennessee. He was an incredibly gifted athlete, who excelled in many sports, but chose tennis due to the individualism of it. Through his father’s teachings and tough love, Sean formed a fierce and unparalleled competitive spirit that allowed him to become one of the best tennis players in the nation. Little did Sean know, the steely interior his father had instilled in him for tennis would prepare him for the battle of his life. Just months before he was to join the University of Tennessee Men’s Tennis Team, Sean (age 18) was diagnosed with Ewing Sarcoma, a rare form of bone cancer. Though he had to put a halt to his college plans, he knew the Lord had a greater plan in store. After battling the disease for 10 months, Sean was declared cancer free. That August, Sean achieved his dream of playing for the University of Tennessee. A few months later, the devastating news came that the disease had returned. However, Sean’s faith never wavered. He was a walking example of joy and possessed a fighter’s heart. Despite losing our precious friend, teammate, brother and son on November 16, 2014, Sean’s legacy will live on forever. If you’re lucky enough in this world, you will come across a special soul — someone who has the ability to inspire without trying, motivate without words, and bring together an entire community and tennis family across the globe. Sean Karl was that remarkable person in our lives. He was strong, witty, a jokester, kind and compassionate. Sean had a personality that was infectious, and an aura about him that was truly unique. He created lifelong friendships effortlessly. He was the type of human being we all strive to be. 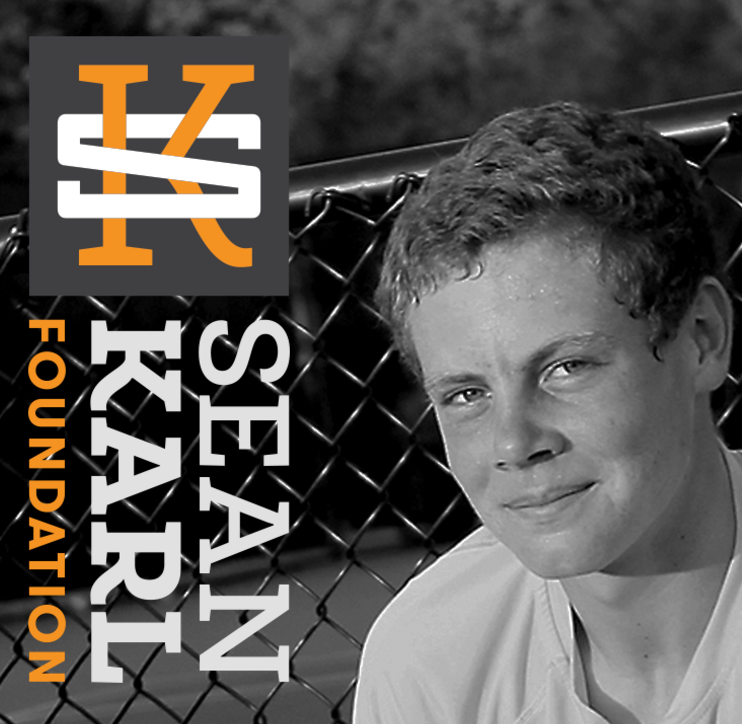 Sean’s life was a precious gift that will continue to spread tremendous joy, love and hope through the Sean Karl Foundation. The Sean Karl Foundation is devoted to increasing funding for research dedicated to finding the cure to Ewing Sarcoma.